Location Lartington CP Deepdale Beck below Crag Bridge. 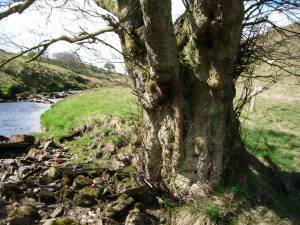 Record Name Deepdale Beck. 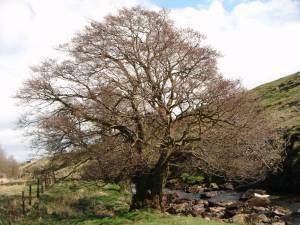 Alder. Record Description Very large streamside alder representative of the many but reducing number of these fine trees which protect the riverbanks from the increasing number of 'once in a hundred year' floods. Every year a number of these irreplaceable-in-our-lifetime trees are lost due mainly to lack of fenced river banks and loss of the other bank binding willows and other trees. Additional Notes This alder has been pollarded, ie the ongrowth branchs have been cropped at intervals of 40-60 years. 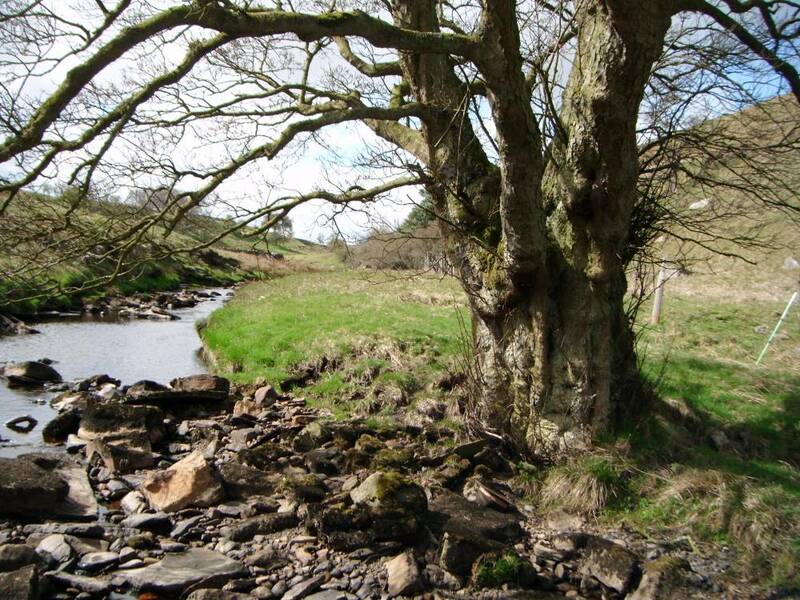 There would once have been very many similar trees as alder has many economic uses and alderwood makes charcoal best suited for gunpowder manufacture which was in much demand by lead miners and quarrying. Image 1 Description Lartington CP. 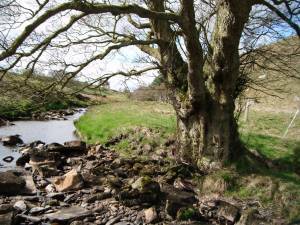 Deepdale Beck. Alder pollard.